The findings, published in November in Frontiers in Neuroscience, are the first to demonstrate a causal relationship between the release of dopamine in the brain and drinking behaviors of animals. Research like this, which makes it possible to map the neuronal circuits responsible for specific behaviors, is a major focus of President Obama’s Brain Research for Advancing Innovative Neurotechnologies initiative, known as BRAIN. First author Caroline E. Bass, PhD, assistant professor of pharmacology and toxicology in the UB School of Medicine and Biomedical Sciences explains: “By stimulating certain dopamine neurons in a precise pattern, resulting in low but prolonged levels of dopamine release, we could prevent the rats from binging. The rats just flat out stopped drinking,” she says. Bass’s co-authors are at Wake Forest University, where she worked previously. “For decades, we have observed that particular brain regions light up or become more active in an alcoholic when he or she drinks or looks at pictures of people drinking, for example, but we didn’t know if those changes in brain activity actually governed the alcoholic’s behavior,” says Bass. 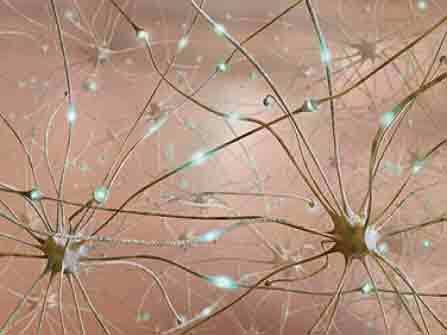 The researchers activated the dopamine neurons through a type of deep brain stimulation, but unlike techniques now used to treat certain neurological disorders, such as severe tremors in Parkinson’s disease patients, this new technique, called optogenetics, uses light instead of electricity to stimulate neurons. Bass specializes in using viral vectors to study the brain in substance abuse. In this study, she used a virus to introduce a gene encoding a light-responsive protein into the animals’ brains. That protein then activated a specific subpopulation of dopamine neurons in the brain’s reward system. “I created a virus that will make this protein only in dopaminergic neurons,” Bass says. Bass’s co-authors are Evgeny Budygin, Valentina P. Grinevich, Dominic Gioia, Jonathan D. Day-Brown, Keith D. Bonin and Jeff Weiner, all of Wake Forest Baptist Medical Center, and Garret D. Stuber of the University of North Carolina Neuroscience Center.